For five days, the media talked about the massive blizzard zeroing in on the East Coast. 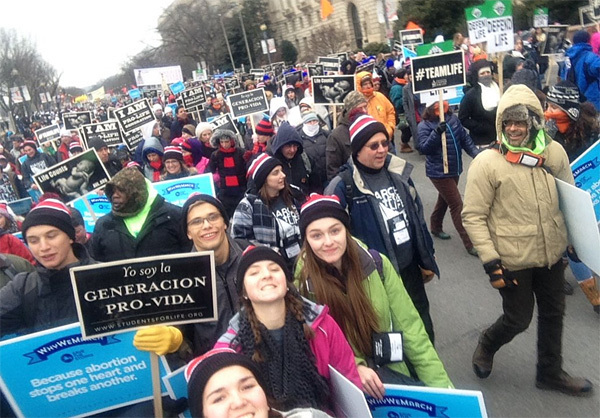 Their allies in the human abortion industry cheered the impending, calamitous storm, since it would surely snuff out the annual March for Life. 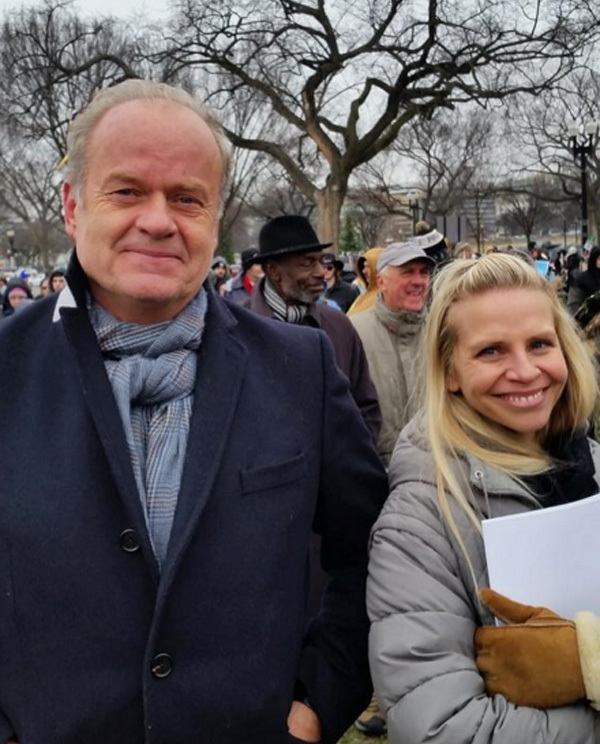 Since 1973’s tragic Roe v Wade decision, champions of the dignity of human life have marched in Washington D.C. to lend a voice to the voiceless. 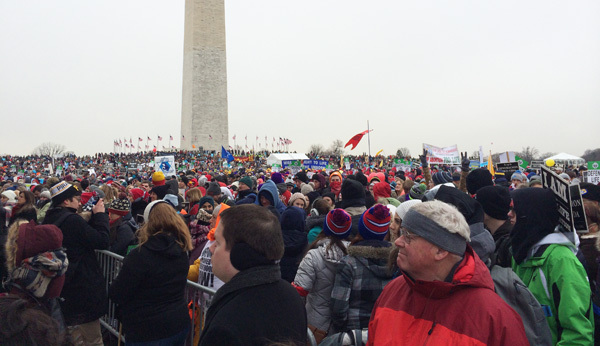 Crowds swelled from tens of thousands to hundreds of thousand marchers, exceeding half a million pro life marchers in recent years. Here in Iowa, Iowans for Life had 5 busses booked for the March, but three of them backed out because of the threat of the blizzard. Two plunged forward and joined with hundreds of thousand marchers, most of whom are students, in yesterday’s march. Think about this: a blizzard is about to crush the nation’s capital, and yet the marchers still came. Thus is the power of life. storm. IFL’s two busses are on the way back, and they’re paying the price for making the trek. Their bus is stuck in a massive traffic jam on a Pennsylvania highway, buried in snow. The pipes in the bathroom are frozen. They’re using melted snow for drinking water. 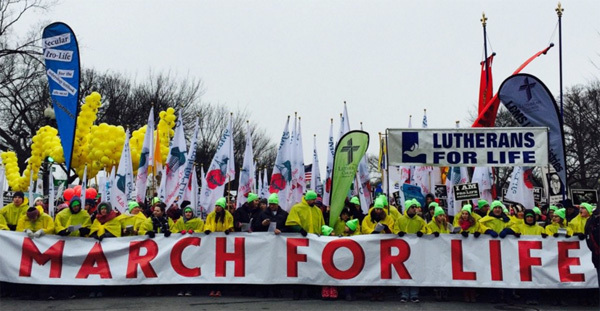 Things would have been so much easier if they had stayed home and watched it on television, only most news outlets won’t cover the event, with the exception of EWTN, the global Catholic network. I’ve never heard of hundreds of thousand marchers described as “small,” have you? Life is everything. Without your life, you can’t have a higher minimum wage … or health insurance … or immigration reform … or higher taxes … or lower taxes … or a better trade deal … or a gay marriage … or a transgendered body. That is why the hundreds of thousands people you see in these photographs did this ridiculous thing and drove into the eye of a storm. They stood up for the little guy long ago abandoned by the Democratic Party. 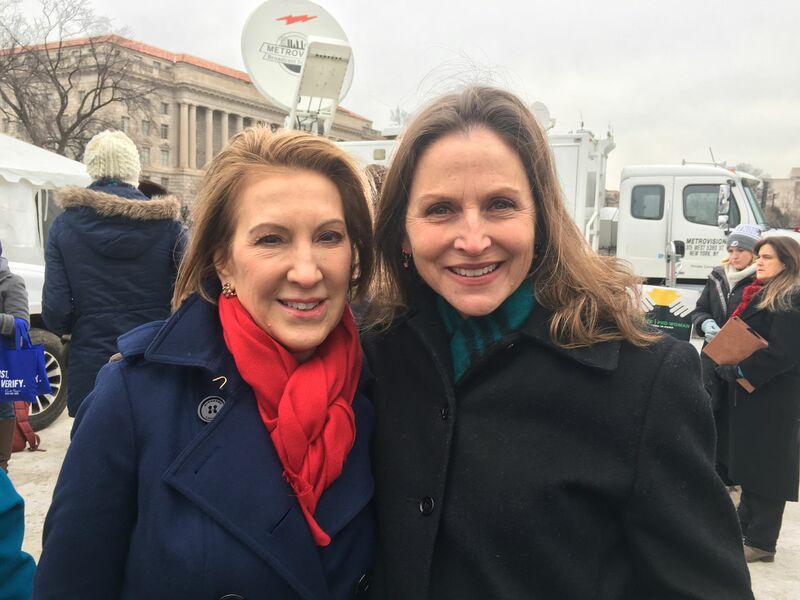 They lent their voice to the legions of Americans who have been victims of human abortion. All I can say is thank-you. Heartfelt thanks to these passionate and compassionate women and men, girls and boys, who stood in the gap for their pre born brothers and sisters. Did the feminist movement kill the first woman president?